Anna Spiro nails it every time...this is just too much fun. 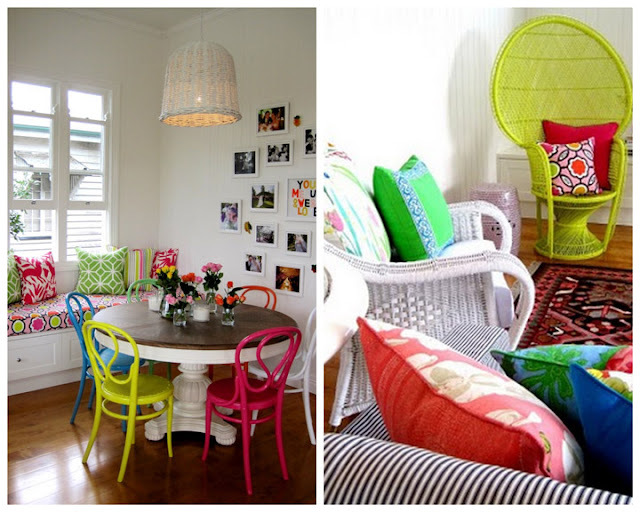 So bright and cheery, yet the room still maintains a sophisticated and grown-up feel. She is so talented with color. Well done! The color in this house is AMAZING!! Such inspiration! Oh and sweetie, have you added your city info to Location Central yet? It's where you can see who else blogs by you. We're all out there! 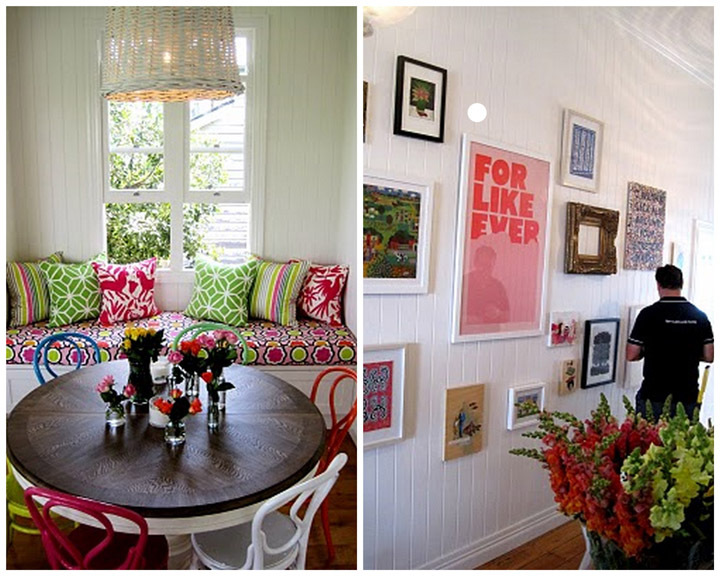 Ooh, I love the idea of a white wall filled with colorful prints and frames. Great idea!